Oak office dividers in London and UK, room dividers and more! Custom made wooden office dividers. 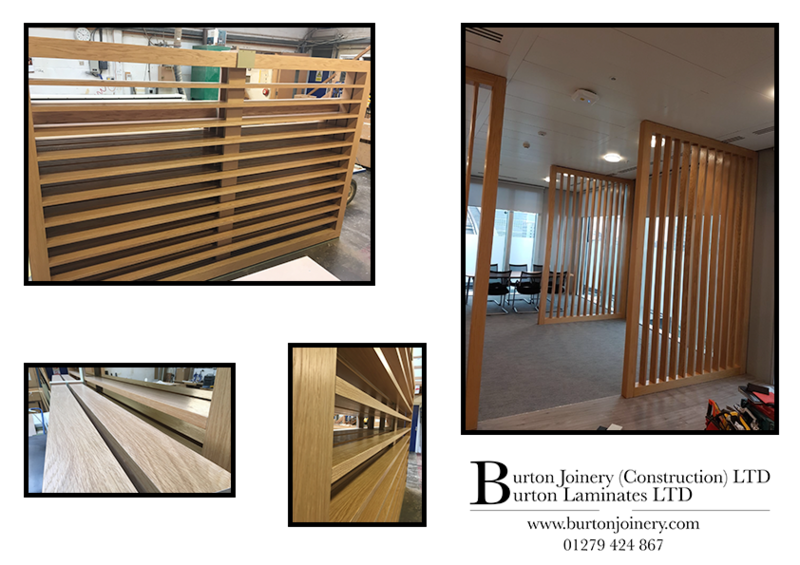 With our bespoke joinery being in offices around the world, we produce many oak office dividers for offices in London. With solid oak and oak veneer being options as well as our other finishes, these office dividers can allow for a room to be separated without feeling to enclosed and trapped in. With different designs, custom to a customers requirements, we can make the room dividers fit your needs! Please look through our selection of our oak office dividers throughout various offices in London.